As an online retailer, eBay or Amazon seller, or Shopify e-commerce store owner you know that making e-commerce sales takes money to buy inventory, advertise online, hire employees, and pay for website developers. Most web stores have gaps in their cash flow, between their business expenses and retail store sales, which could be helped by an Amazon business retail loan or business line of credit for working capital. 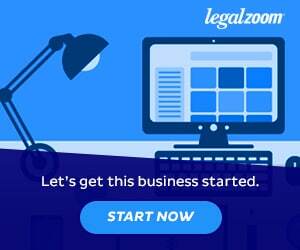 RELATED: Read my Kabbage Loan Reviews – Right for your Business? 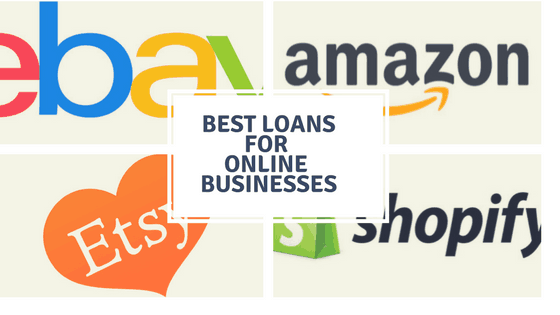 I recommend Kabbage as the best loans for online stores, eBay sellers, Amazon and Shopify sites because of its positive combination of ease of application, the speed of funding and generous approval criteria. Kabbage understands that your business financial health is more than just a number on your credit score report, so it uses your actual business data, such as sales receipts, credit card transactions, and invoice payments, to review your eligibility for a retail loan. Are Kabbage Retail Loans are Right, or Wrong for Your Online Business? In under 6 minutes, even from your mobile phone during your coffee break, you can apply for a retail loan from Kabbage. Because it is so easy you will actually get it done – instead of procrastinating forever (like me 🙂 because typical bank loan applications are such a hassle to fill out all the paperwork and find all your old bank statements. Because Kabbage uses computers to analyze your business data from your bank accounts, credit card processor, and accounting software, you can get approved almost instantly or at the longest in a day. I hated to wait, sometimes for weeks, and worry, when I applied for business loans in the past. Only to then be embarrassed and bummed out when I got a call from the bank rejecting my loan. It is so much better to know right away if my retail financing will be approved so I can proceed with my business plans. Because Kabbage gives you total flexibility to use the funds for any business-related expense you can manage your business the way you see fit – using the money to build your business. There are no restrictions prohibiting you spending the cash on rent, payroll, supplies, equipment, advertising, website development or events. You know your business best and where it needs cash to make the most impact on business growth and profitability. As you borrow and then pay back money from your Kabbage retail loan, your line of credit renews to allow for future borrowing for working capital needs. This is a great way to continue your store’s growth by strategically using this money source for business-building activities. I like how easy Kabbage makes loan repayments. They do an auto debit to your business checking account for your regular loan payment for the exact correct amount on the due date. You will receive an email, in plenty of time, prior to this day, of the amount of the payment and date of debit. This process avoids incurring late fees, which can add up, and ensure that your payments are made on time. Thus you will not jeopardize your line of credit good standing and keep it open for your future business financing needs. Because you, as a small business with less than perfect credit, are a riskier loan than other types of business loans, that are secured with collateral such as real estate and machinery, your interest rates will be higher. Kabbage APR (annual percentage rate) varies from a low of 1.5 -10% which increases based on your time in business, revenue, profit margin, and velocity of growth, ie your business performance factors. When reviewing your options for retail financing it is wise to use the ROI (return on investment) evaluation system. Right Way to Evaluate Short Term Business Loans: ROI – Return on Investment. This is a financial calculation that focuses on the “value” of the loan money to your business and your ability to make money with the loan money. In fact, Kabbage provides an ROI loan calculator which you can use to determine exactly how much “value” and return you will get on your loan. Reader Question: Does Kabbage Require a Personal Guarantee?